G.J. Gardner Homes was recently voted the best national home builder by consumers for the second year in a row. A rating of 4.7 out of a possible 5 from 515 reviews on ProductReview.com.au made us the top rated builder among 500+ national builders that are tracked by the consumer review website. So what do we do differently from other builders? 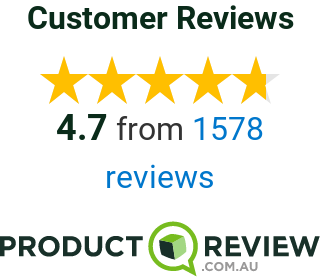 We thought the best way to find out was to talk to some of our clients who had reviewed us on ProductReview.com.au. Here are some of the key things that led our clients to rate our service as outstanding. For our clients who are first home builders and even for those who have been through the process before, the reviews showed that they appreciated the time we took and the guidance we provided in the planning stages. Changes to a home design is the number one culprit of budget variations, which is why we place so much emphasis on getting things just right in the planning stages. For Oliver Scott, who recently built in Sydney’s north, G.J. Gardner provided support from start to finish. “As first-time builders, they guided us through the process, starting with a seminar on key things to consider when building, followed by advice on the design and layout of the home, assisting on colour selection and even making some great ad hoc recommendations during the build process itself,” Mr Scott said. Our site supervisors have built hundreds of homes and know the best local tradespeople to use. They make it a priority to ensure the building process runs smoothly through careful management of tradespeople and coordination with other contractors. Michelle Nagle recently built on the Sapphire Coast and had high praise for the job G.J. Gardner did in managing the build. “The construction management team kept us up to date every step of the way, their team of tradesmen were professional and completed each aspect of the build to a very high standard and on time,” Michelle said. We know that building a house can be a stressful event, which is why we are open and transparent with our clients. This includes providing them with weekly updates on how the construction is progressing and arranging viewings for clients who want to view the progress of the build. This is an aspect of our service that is commented on often by clients like Oliver Scott. “G.J. Gardner gave us regular updates on progress and viewings of the property as it was being built and the support for any follow-up issues or questions has been great,” Mr Scott said. We provide all of our clients with a timeframe for the construction of their new home and we write this into the contract. We select products and fittings that are durable and of a high standard and our buying power means we can offer these to our clients within their budget. For Paul Zelasko, who recently built in northwest Sydney, the high quality of his finished home was a standout feature of his experience with G.J. Gardner Homes. “Workmanship of the build is exceptional, add to this the fast build time of eight months and we are very pleased that we made the decision to build with GJ Gardner Homes,” Mr Zelasko said. Reputation is key in the building industry and we embark on every new home building project with the goal of providing a level of customer service that would lead the new homeowner to recommend us to their family and friends.